One of the most poignant moments during Trudie Lang's talk on tropical medical research on January 13th was when she passed round a basket of grains of rice and asked us to guess the number. All estimates were woefully short and, in fact, the figure was close to 50,000 - and so we would have needed 15 of these baskets to have a grain of rice for each of the children dying each year from malaria. On average, a child dies every minute from the disease and - fifteen minutes into her talk - Trudie pointed out that the same number of children had died whilst she had been speaking. It was a salutory reminder that this disease poses an enormous threat to the Third World, despite huge contributions to research from the Gates Foundation and the Wellcome Trust (far more than many governments). 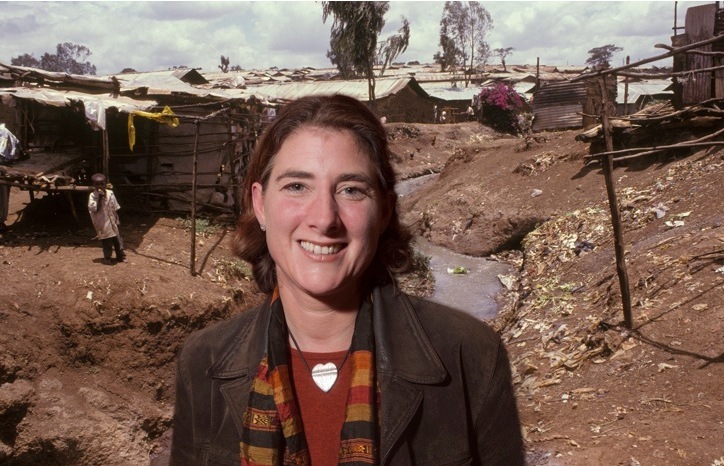 Trudie, a senior researcher for Oxford University's Centre for Tropical Medicine, showed pictures of her two children during the time she and her husband, Doug, left Wootton for a couple of years to live in Kenya whilst she carried out further drug and vaccine research. Hospital conditions were clearly basic and Trudie recounted harrowing stories of mothers taking comatose children several miles to seek help - but, sadly, many would succumb to deadly diseases before they could reach help. Trudie has also conducted clinical trials in combatting TB and HIV. Whilst the problems with disease are still grave, she pointed out there are glimmers of hope - although much research still needs to be done in developing vaccines, in addition to improving sanitation to reduce levels of desdly viruses. Over 140 people packed the hall, with many shrewd questions at the end, and over £800 was raised from a fascinating.evening.